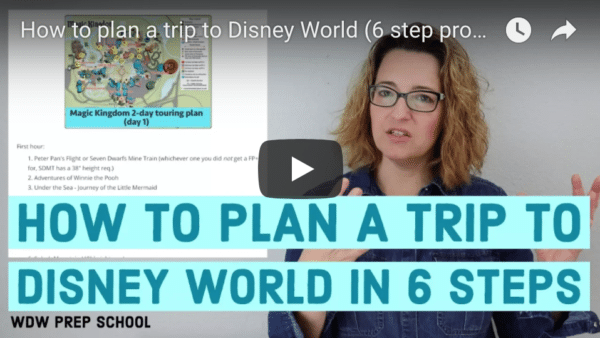 People planning trips to Disney World during the holidays will need to know everything that's available so they can figure out how to plan. In this episode, find out everything that's available in the parks and resorts during the holidays. I also have a quick tip to help you celebrate a special occasion in Disney Springs. These are notes from this episode. There's much more info included in the audio so be sure to listen to the episode for a better explanation. WDW Prep To Go Patrons pay a little to unlock even more content than what’s on the main podcast feed, such as a private FB Group and exclusive audio that’s released on a private podcast feed. Want to be considered for a trip report? Please leave me a SpeakPipe message with your name, trip dates, resort, and who is in your group. You can do that using your computer or phone at https://www.speakpipe.com/WDWPrepToGo. "I have a quick tip for people looking to add extra magic to a dining reservation in Disney Springs. We are celebrating my dad's birthday on our upcoming trip, and we wanted to get a special cake. The cast member I spoke to regarding dining reservations wasn't sure if Amorette's Patisserie delivers, and the Disney website says that you can pre-order and pick up a cake from Amorette's to enjoy at your resort, but it doesn't mention any delivery options. I called Amorette's directly and got the answer! They will deliver the large dome character cakes or their signature red velvet cake to Disney Springs restaurants. Order 72 hours ahead of time to ensure delivery and pre-payment is required. While we could have picked up the cake ourselves and brought it to dinner, it'll be nice to keep the cake a surprise for my dad and have it waiting for us at The Boathouse!" Check out the cake on Instagram - https://www.instagram.com/p/BqTq4Lxgfxm/? Thank you for all your helpful information. Our family listened to this episode on our way to the airport!! Just checked in at Disney today and so excited for all the fun Holiday events!! Maybe we will see you in the parks! Thank you for this. We leave in 18 days!